We just recently had New Seasons Market open in the SF Bay Area. Sunnyvale, to be precise. If you have not heard about them yet, their official motto is that they are the “friendliest store in town”. How is New Seasons Market different from other stores? They sell similar products to those sold at Whole Foods; however, they also bring local and sustainable foods. For example, The Bay Area’s Four Barrel coffee, floral departments with Fair Trade options, and a good selection of Californian wine. Tomatoes. They sell the best, full of flavor tomatoes in town. 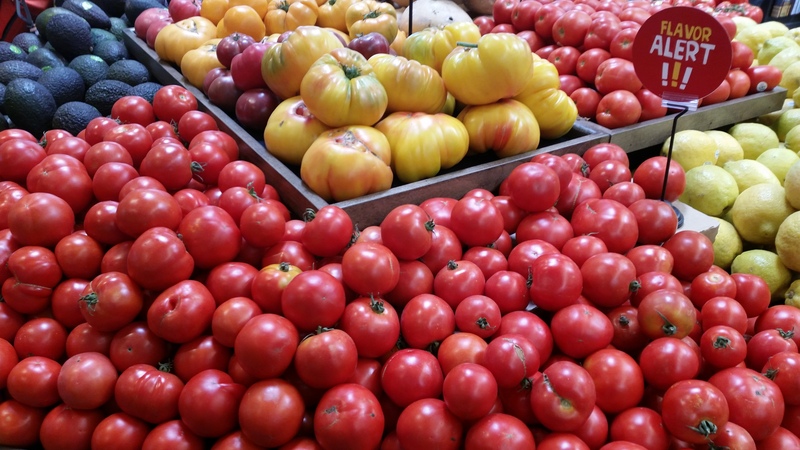 Their tomatoes come from Pinnacle Farms, a California farm that grows organic vegetables. The interesting thing about Pinnacle farms is that they build their compost using wood chips from San Francisco Bay Area cities. So, your boxes and fallen tree limbs are getting a second life as dirt to grow produce in. These tomatoes are usually easy to find because New Seasons market marks them with their “flavor alert” signs. Carrots. 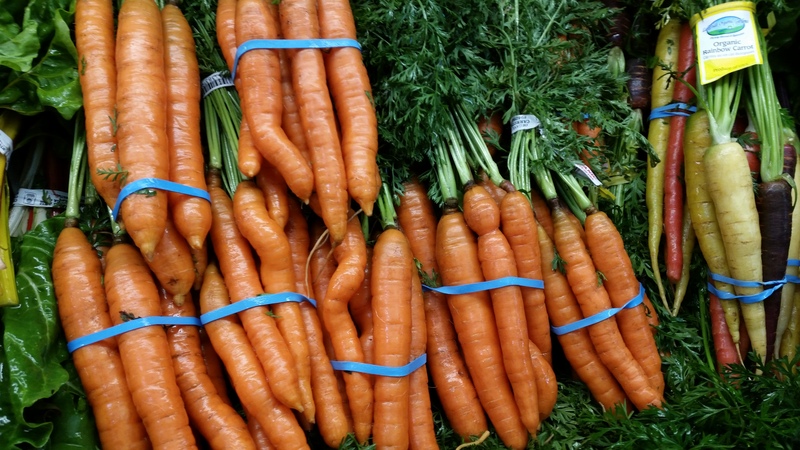 The Pinnacle Farms carrots are also sold in New Seasons Market. They do not have the machine-perfect shape of the carrots as you can see in other stores, but they taste great. If you do not see them, ask someone to show you. They are there. Olive Oil. 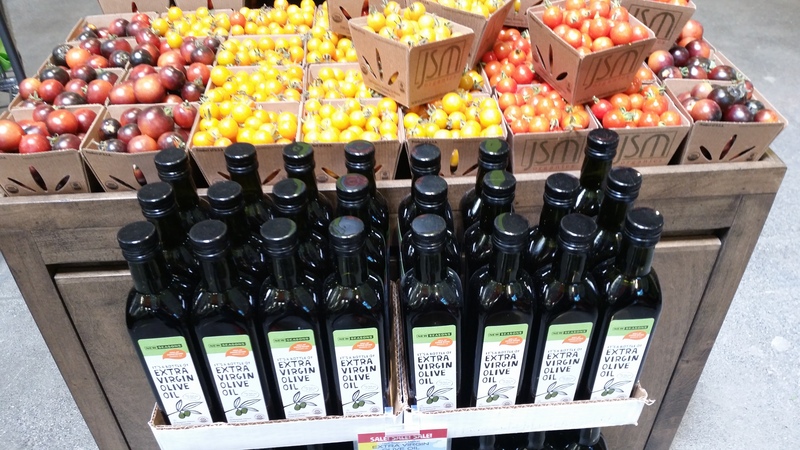 New Seasons has its own brand of Extra Virgin Olive Oil and it is the best olive oil I have ever tasted. It smells as good as it tastes. Just like fresh olives. It is good for frying as well as pouring on salads. I like to make cucumber and tomato salad with this oil. Butter. If you are picky about butter than you will find your butter in New Seasons. 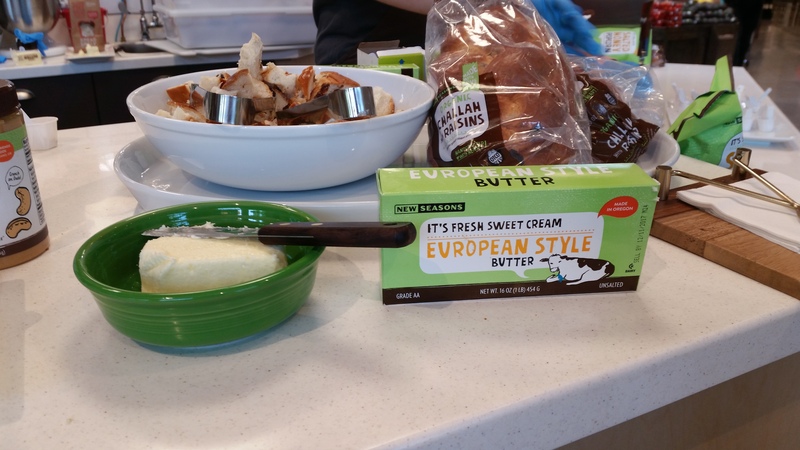 Try their European Style Butter, it is also a New Seasons brand. If you are from Europe, this butter will give you a flashback to where you grew up. You know what I am talking about. It does not have any taste or smell of margarine. Penne Rigate. 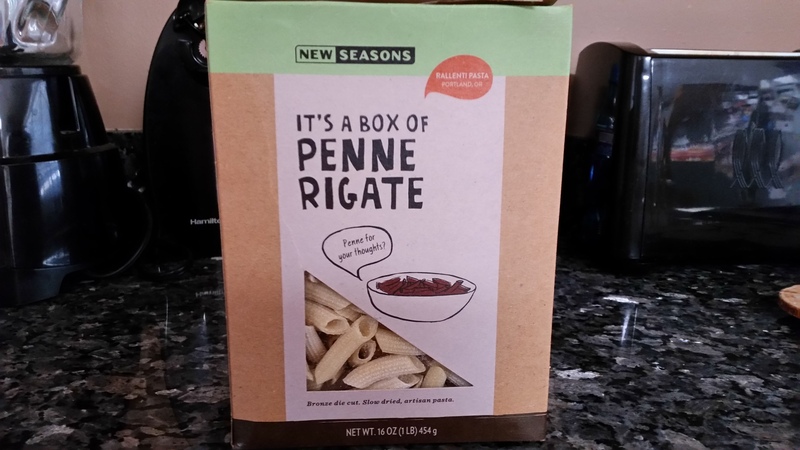 My toddler loves New Seasons’ brand of Penne Rigate. He is a big fan of pasta, in general, but this one is his favorite. Challah bread. If you like Challah bread, that is the store to buy it. 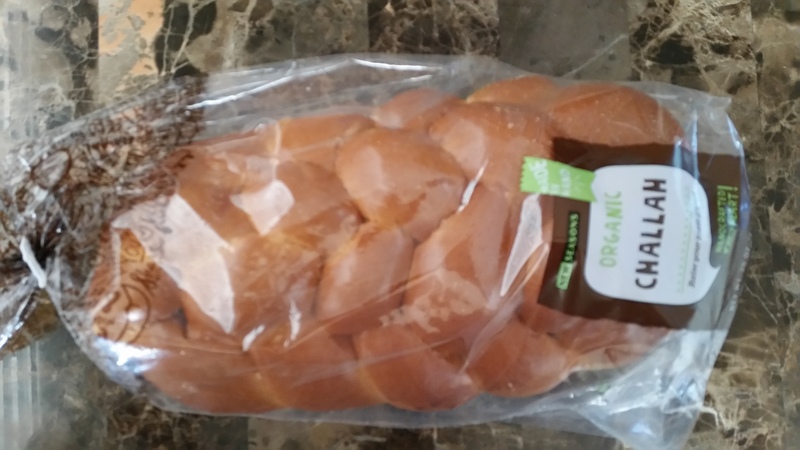 My son loves New Seasons’ Challah bread. We love to take it as a snack to the park. Our little guy shared it with some other kids in the park and it was well received by everyone. Maple Syrup. 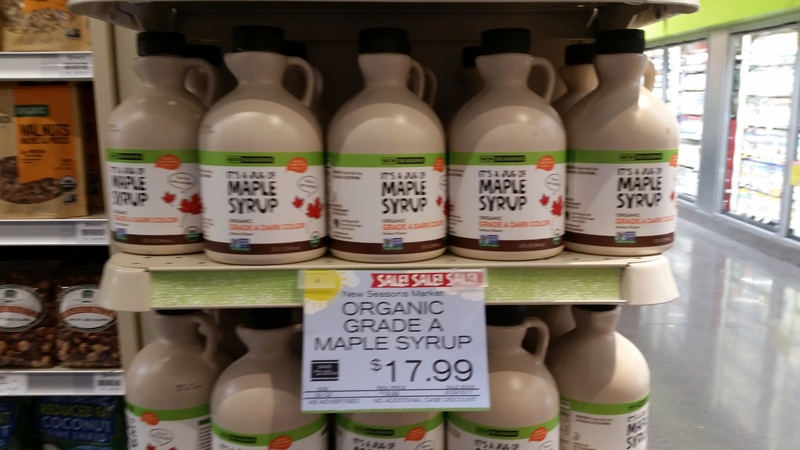 They carry an excellent Organic Maple Syrup from Vermont Bascom Family Farms. Yes, make sure that your Maple Syrup comes from East Coast because they do have the best Maple Syrup in the world. Albacore Tuna. 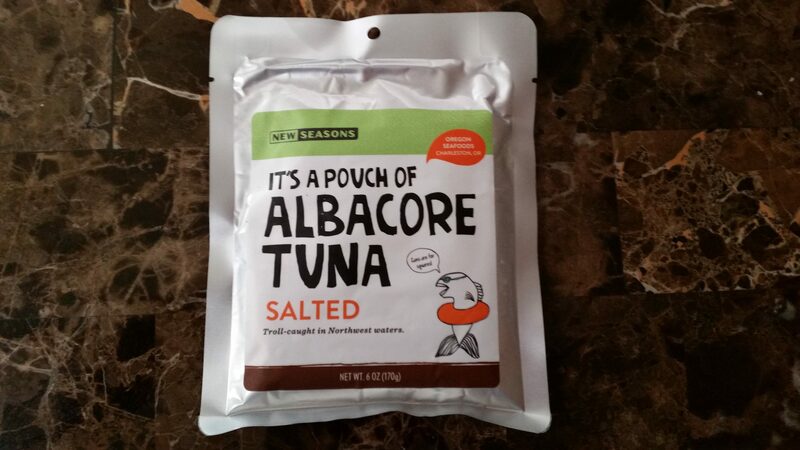 If you a fan of tuna melts, try New Seasons’ own brand of tuna. It is really good. Their tuna comes from off the coast of Oregon. You can see on the package the name of the captain and the name of the boat that caught the fish. Banana Cake. 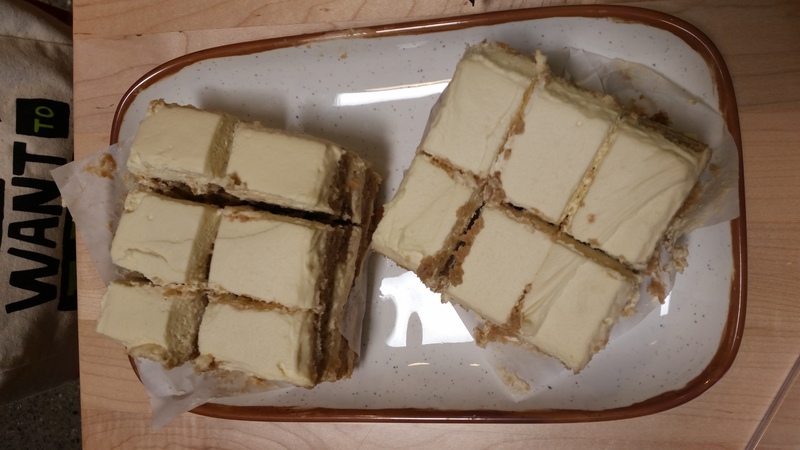 New Seasons Market has its own recipe for Banana cake. It is very delicious and different from anything else I have purchased in the SF Bay Area. Pineapples. New Seasons sells very delicious golden sweet Capa Oro Dulce organic pineapples from Costa Rica. They taste so different from the Dole pineapples we got used to. If you like pineapples, juicy, sweet fruit, try them. I also see them in Pina Colada. My toddler likes them even though he is not a big fan of pineapples. 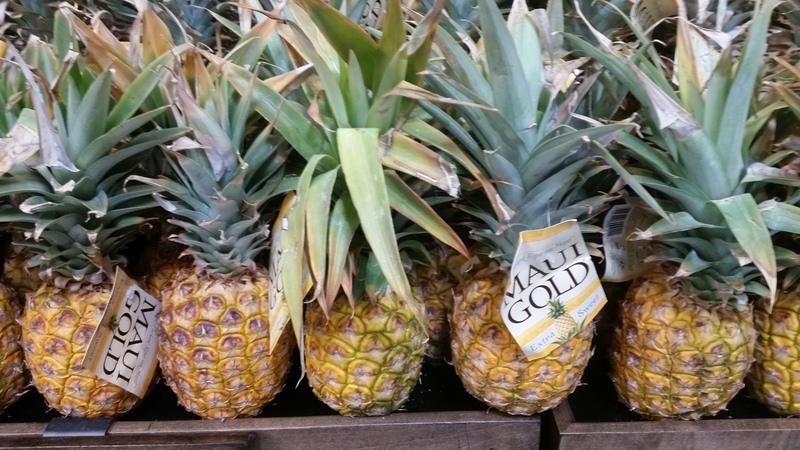 Also, try their Maui Pineapples, they are also very sweet and full of flavor. 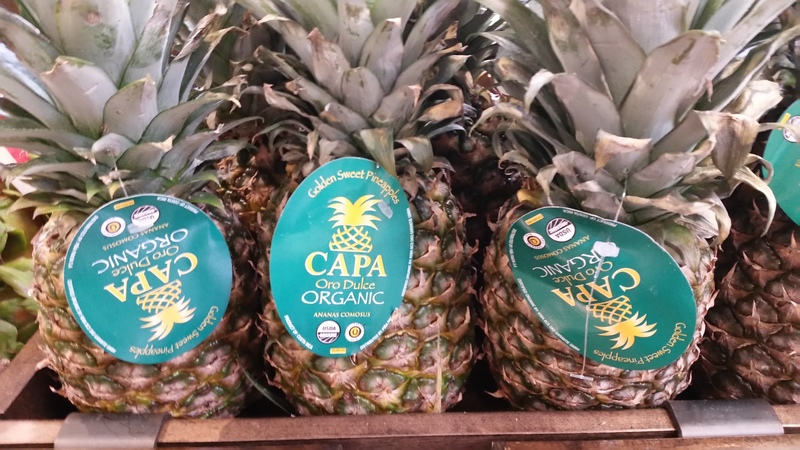 Capa Oro Dulce organic pineapples from Costa Rica. I am going to update this list of my favorite products from New Seasons Market as I try more food from there. However, if you have recommendations, please, let us know.